You’ve been trusted to achieve your property’s vegetation management goals. It’s time to partner with a name you can trust. AAM is Florida’s leading aquatic weed specialist. If you’re in need of mitigation site maintenance and monitoring, you’ve come to the right place. 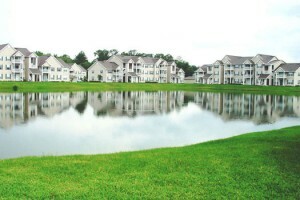 AAM works with numerous property management companies and homeowners associations throughout the state of Florida. We use industry leading technology and innovative spray management techniques providing you with immediate results. As a leader in the industry, our clients have come to expect successful comprehensive vegetation management and unwavering customer service. When you call, we guarantee to be on-site within 24 hours. Whether you have an exotic species outbreak or severe algae bloom, our licensed Applicators will quickly eliminate the problem and work with you to develop a customized plan for successful ongoing maintenance. Our herbicides and algaecides are environmentally friendly and EPA registered. We use chemical mixes that work! With more than 30 years in the industry, we’re your trusted source to resolve any aquatic weed control problem. Don’t let algae, duckweed or hydrilla take over your waterway. Contact us today at (863) 533-8882 or click below for a free assessment. Guaranteed, on-site within 24 hrs.